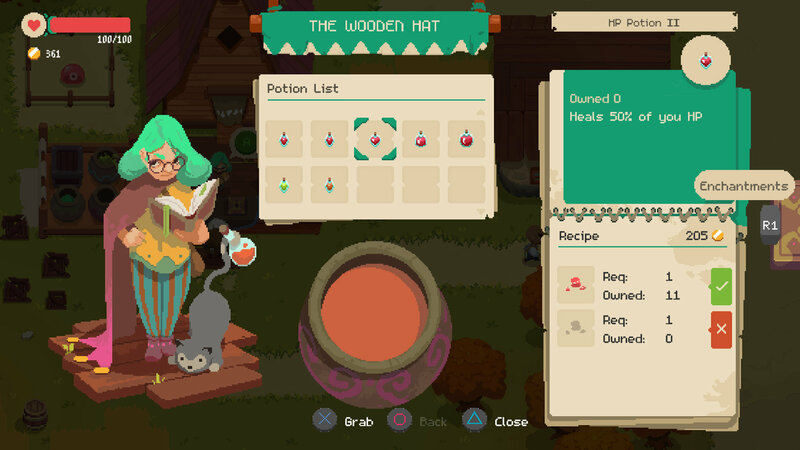 Just when you think you’ve seen it all from an RPG, a game like Moonlighter comes along and changes the conversation. It has all the halmark staples of the genre. Monster slaying. Loot hording. Dungeon crawling. But it mixes them together with a unique mercantile mechanic that has you run a shop to earn money from your exploits. None of it comes easy, though. 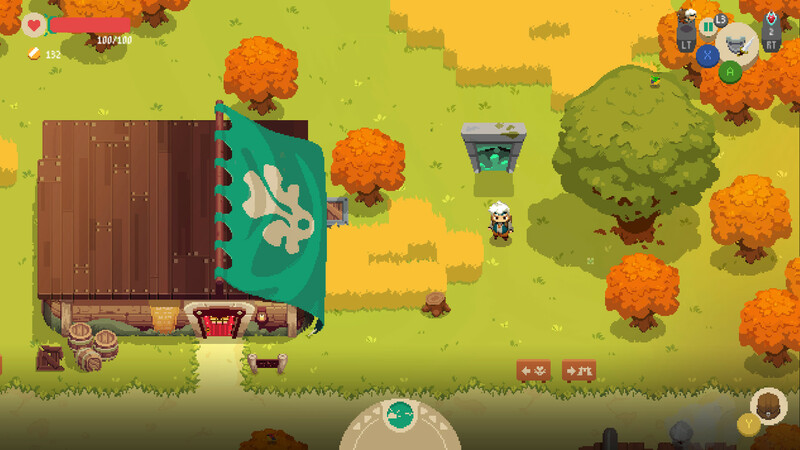 You’ll have to use your wits as much as your wills to get the most out of Moonlighter, proving Will is as adept at being a hero as he is a shrewd businessman. Digital Sun ramp up the pressure from the very beginning as even the opening tutorial wants to kill you. Huge, hulking beasts swarm you just minutes after you learn how to swing a weapon. Try as you might, they’re going to overwhelm you eventually. It’s a tough lesson, but one that has you itching to get back at it, especially when you’re given the game’s version of a Master Sword and that infamous RPG pep talk. But first, you have to learn about Will’s other priorities in tending to the Moonlighter store. Anything you’ve collected in dungeons can be set out on tables in the store and sold at any price you like. From that weird goop blob monsters leave behind, to shredded vines. Even real treasure like artifacts, it’s all fair game. However, if you’re pricing something too high, patrons will take their business elsewhere. If it’s too low, they’ll start to question the quality of your produce and may even haggle. You’ll be able to tell what they’re thinking based on the emoji like expression which pops above their head. Moonlighter is a unique balancing act that uses a day and night cycle to ensure there’s no wasted motion in the game. By day, you’re a vendor. By night, a hero. But it’s also free-roam, meaning you can just go ahead and dungeon crawl as much as you want, when you want or keep the shop open, though you’ll eventually run out of produce. Just be prepared to miss out on making real money if you’d rather go out fighting. You’ll just end up dying or having to restart time after time. And without money you can’t unlock new shops or traders, therefore restricting yourself a chance to appropriately equip yourself for battle. Moonlight is part Stardew Valley, part Binding of Isaac, and part Enter the Gungeon. The mechanics are fiendish, but can work in your favour. You just need to be prepared to give them a chance. Still, Moonlighter joins a surge of games which recommend you play on ‘Hard’ difficulty. It’s an increasing trend, for sure – bordering on hipster like – but it definitely feels like this is a game meant to keep you on your toes. It’s interesting to see how indie game developers have responded to the way Dark Souls has changed the industry with its ‘git gud’ mentality. Moonlighter is accessible, to the point where it could even work as a gateway game for those who cut their teeth with Stardew and want a taste of some action. However, it will test the reflexes – and patience – of even the most talented player with some of its boss battles and scrapes. Likewise, when you’re trying to please your customers and keep trade routes flowing, all while hoping to make a bit of money yourself, that requires some tactical thinking. Fortunately, the genres merge together well, and it all works an absolute treat on Switch. This is a game made to be played in short bursts, on the go, in handheld form. Truly, this is the perfect place to play Moonlighter. 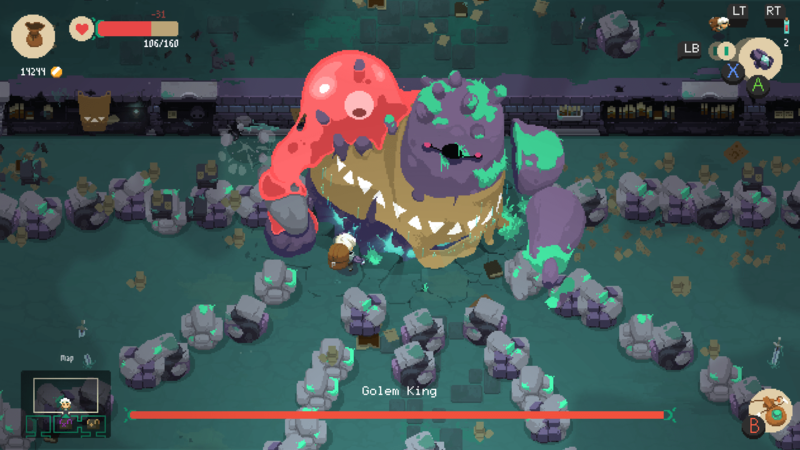 It has its faults and can feel a bit repetitive and monotonous at times, but the ideas driving Moonlighter are – for the most part – both fresh and exciting. You could even argue that Digital Sun have opened up a whole new dimension for the RPG, which is quite ironic considering its retro aesthetic. Heck, these ideas could even bleed into other genres, it definitely feels like Digital Sun cracked a nut here. For years, we’ve approached vendors of all shapes and sizes, spending every last dime of our hard-earned money on their tiny nuggets of gold as they sneer at us and refuse to barter. Now it’s our turn to reap the real rewards, setting the prices we want on the items we like, watching customers ponder and squirm as they pace the shop trying to justify the purchase to themselves. It feels oddly satisfying. And while Moonlighter does lack the depth of both titles, it joins both Into the Breach and Dead Cells as this years’ indie must-haves. Games which have challenged established conventions for the betterment of their respective genres. The future of the RPG certainly seems to be in very safe hands.